Whether in advance of a important meeting, big date or just looking to make a good first impression, bad breath is something that most of us have experienced at precisely the wrong time. While the occasional bought of bad breath is troubling enough, our Boulder dentistry team understands that some patients deal with this problem on a daily basis. Roughly 30 percent of adults complain about frequent bouts of bad breath. Clinically referred to as halitosis, bad breath can develop due to a variety of reasons. From indulging in a liverwurst and onion sandwich at lunch to drinking too much the night before, there are a number of reasons why your breath can smell less than its best. While some of the causes of bad breath are avoidable (just order a salad for lunch), others may be a sign of an underlying medical condition. So that you can better control how your breath smells when it matters the most, here are a few of the most common causes of bad breath and what you can do to prevent them. Bad breath can develop as a result of both what’s in and what we put into our bodies. 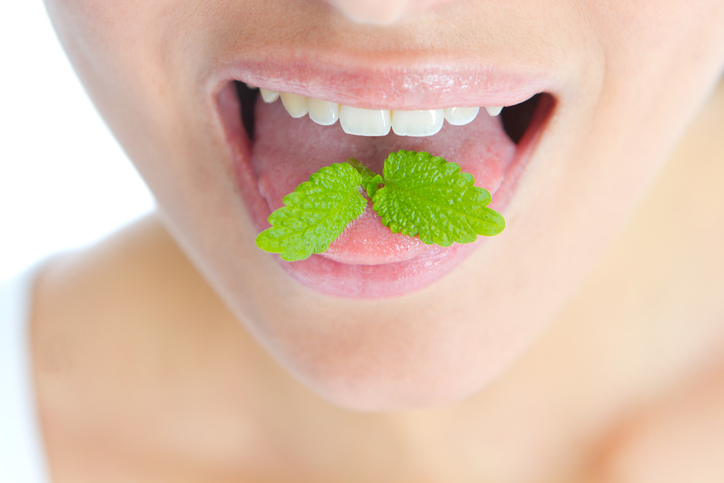 The most common cause of bad breath is the bacteria present on the surface of our teeth and that grows on our tongues. As a result, most cases of persistent bad breath are caused by poor oral hygiene habits, gum disease and dry mouth, a condition that prevents the body from creating enough saliva to keep the mouth moist. Visiting our Boulder dentistry team can help to rule out gum disease and identify any oral health problems that may be contributing to cases of persistent bad breath. What we eat also plays an important role in determining how our breath smells. Odorous foods such as onions, cured meats and pickled vegetables can all cause some serious funk. When it comes to the foods we eat there’s some good news/bad news. Good news – the effect they have on our breath is temporary and will eventually go away. Bad news – our breath will remain smelling sour until the body has fully processed these items out of our system. That means we can’t eliminate the odor caused by these types of foods, only cover it up with the use of mouthwash or breath mints. Occasionally, bad breath is the result of a more serious underlying condition. Tonsillitis, respiratory infections and some types of gastrointestinal diseases may also cause bad breath as a side effect. Advanced kidney or liver disease and uncontrolled diabetes can also cause unpleasant bouts of bad breath. However, in such cases bad breath is only one potential symptom and an individual is likely to experience significant symptoms beyond just an unwanted case of dragon breath. Brush at least twice a day and floss daily. Brushing works to remove bacteria and food particles that remain in the mouth after eating. When left to decay, these substances are the primary cause of caustic breath. Flossing helps to remove these same substances from areas of the mouth a toothbrush cannot reach – between your teeth and below the gum line. Stop smoking. No habit is worse for the smell of your breath or the long-term health of your teeth and gums then smoking. Studies have even found that smoking helps the harmful bacteria that contributes to tooth decay and bad breath breed even faster. This means the more you smoke, the more likely your breath will stink. Drink plenty of water. Drinking water helps to rehydrate your mouth, while also flushing away bacteria and food particles from the surface of your teeth and tongue. Drinking more water will also help you to avoid dry mouth. Brush your tongue. A healthy tongue should appear bright pink, not covered in a whitish film. Our tongues have a lot of pours were foul smelling bacteria can accumulate, so take the time to give your tongue a proper brushing each day. Schedule regular dental appointments. Regular visits to see our Boulder dentistry team will enable our doctors to spot any oral health problems that could be responsible for bad breath and provide you with the care needed to get you back to smiling with confidence once again.